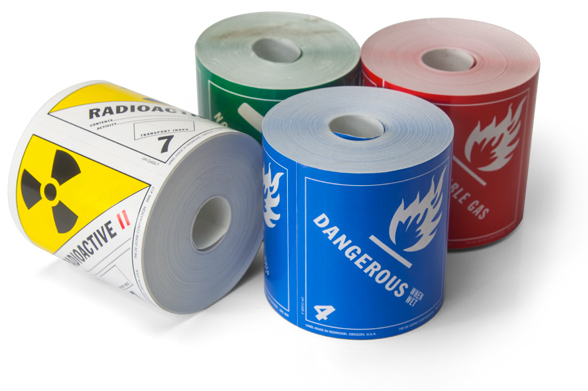 CDOT Hazmat labels have a characteristic color pattern, pictogram, and hazard class number for identifying dangerous shipments with Hazmat shipping labels. There are nine different hazard classes under the DOT hazardous materials classification system. • Meet Department of Transportation (D.O.T.) guidelines and U.S. Government approved colors for immediate recognition. • 500 4 x 4" pressure-sensitive labels per unit.